Use of ID cards has become the norm in every business organization and today's high-tech advancements in technology have made available a host of ID cards printing solutions to every business. 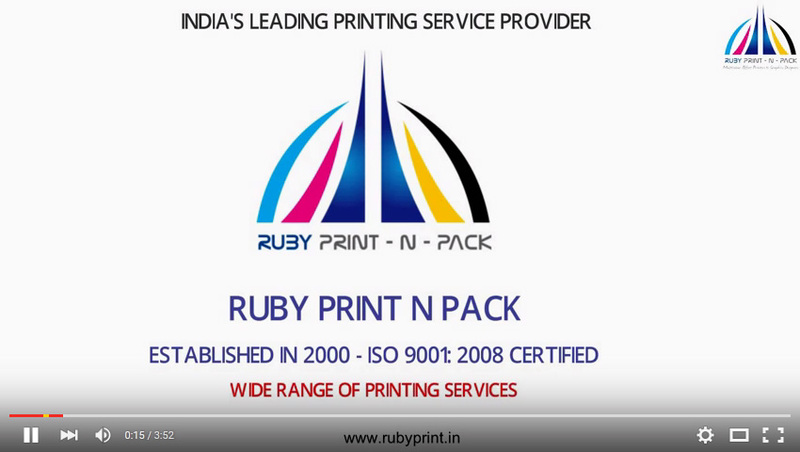 Ruby Print N Pack is one of the leaders in this field and offers a comprehensive ID card printing service. Whatever be your requirements we provide several printing services starting from the basic ID card printing to many more varieties which will cater to your every need. ID cards are needed to badge different set of individuals during conferences, exhibitions, seminars or other hospitality events or for school IDs, membership cards, loyalty cards and more. Fused ID Cards: Our fused ID cards are manufactured by using advanced fusing technology which are sturdy and lightweight and lend a totally professional outlook to the card. Sticker ID Cards: Our sticker ID cards come with highest quality finish with all aspects right from the designing the final printing being taken care of in minute details. It has backside sticking option though rough use which can be sticked to HID cards, RF ID cards, Magnetic cards and etc. 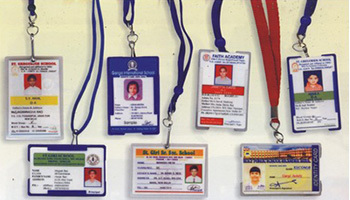 School ID Cards: Our School ID cards are made of high quality card paper with fusion technology and this makes them long-lasting as chances of them getting ripped off or worn out are greatly reduced. It helps to last longer. College ID Cards: We use high quality card paper for durability and offer several color combinations to distinguish between post graduate, graduate and early college level students with help of fusing technology you can get best ID card printing service. Employee ID Cards: Our highly attractive and professional looking employee ID cards come fusing technology for protection against water spills and dust and enhance the sturdiness. Membership Cards: We offer endless color combinations and designs to make your membership card as unique as possible enabling it to stand apart from the rest of the pack. Loyalty Cards: Our loyalty cards serve as an attractive medium to present the benefits of your retail outlet to your loyal customers. Integration: The manner of integrating the new card printing system into the other areas of your organization so as to obtain a seamless system of working. Functionality: Our expertise of experienced people will help you to make the right choice based on the functionality you require. Get the guidance of Ruby Print N Pack and you will have the ID card that best fits into the working of your organization. We deliver across India & Worldwide.